Giving your kitchen a makeover needn’t be as time consuming and costly as you think. Instead of investing in a brand new kitchen, why not consider updating your old kitchen? You’ll be amazed at how simple it can be to transform the heart of the home at a fraction of the cost of a new kitchen. 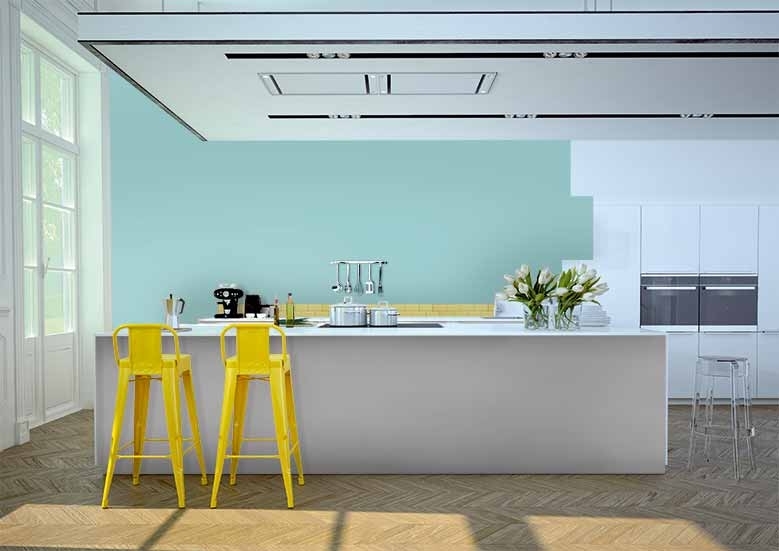 With our kitchen matt emulsion paint available in a huge range of colours, it’s never been easier to update your look. So grab a cuppa and let us inspire you to get started! For an instant kitchen refresh, start by giving your walls a lick of paint. It’s a good idea to prep your walls before painting so you have a good, clean surface to work with. Washing them down with sugar soap and a sponge should do the trick. Finding your perfect colour has never been easier too as our kitchen matt emulsion paint comes in a choice of 19 different colours. Not only that but it’s also been specially designed to deal with problems such as everyday grease and moisture. It’s 10x tougher than standard matt emulsion and its washable surface will leave your kitchen looking gorgeous for longer. The moisture and grease resistant formula means that any evidence of last night’s spag bol can easily be wiped from your wall without affecting the paint finish. One brilliant way of instantly making your kitchen look brand new is updating your tiles. Why not avoid the expense of a new set of tiles and pick up a few tins of tile paint instead? With a one coat coverage and no primer needed, there’ll even be time to squeeze in an extra tea break! We love summer tide tile paint, perfect for adding a cool calmness to your kitchen. However, if you’re happy with your current tiles and they simply need freshening up, a coat of our white tile paint will easily have them looking as good as new. Complete your kitchen makeover by giving your cupboards an update. 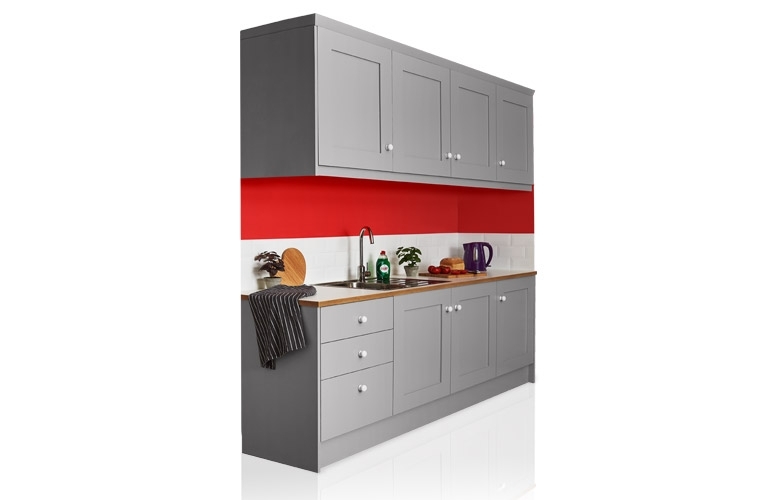 There’s no need to splash out on a brand new set of kitchen units with our great value cupboard paint. It’s specifically designed to transform old furniture and cupboard doors and comes in 9 gorgeous colours. Simply prep your doors by removing the handles then wash them down with sugar soap to remove any grease and grime and follow with a coat of primer. You’ll need to apply two coats of cupboard paint for a professional finish and they’ll be touch dry in just 2 hours! Just remember that not all cupboard materials are suitable for cupboard paint so be sure to check the tin before purchasing. Try our calming duck egg shade for a homely country kitchen look. Don’t forget to complete the look with a brand new set of door handles too for the ultimate facelift. When choosing your perfect colour, make sure you check out the full kitchen paint range at wilko.com. Order online, and you can pick up from your nearest store at no extra cost and if you’re still unsure which colour to choose, check out our room visualiser for some inspiration!